My son hurt himself around Easter time at the playground at his school, his knee got majorly swollen. Weeks go by and it never went down, they ran a MRI on him and confirmed no broken bones. However they found a hematoma. Waited another week, still badly swollen and he was limping. They ran a second MRI and this time with contrast. His hematoma went away, yet still very swollen. We had un-officially gotten a diagnoses of juvenile rheumatoid arthritis. We went to see a specialist and they ran some blood tests etc. and confirmed that was it. Evidently my sons injury at the playground woke a sleeping giant. It went from one knee to his other and then his ankle. The Dr. suggested a procedure to put him under and have 4 areas drained and 3 injections of steroids. We did it and seen results 24 hours after. We are going on 1 month now and my son is free from swelling. He takes aleeve daily to help aid keeping down the swelling. But he is no longer in a wheel chair and no more crutches. He can skip and run now and walks without a limp. We still go to physical therapy weekly and feel it does help. So glad that your son is doing better. 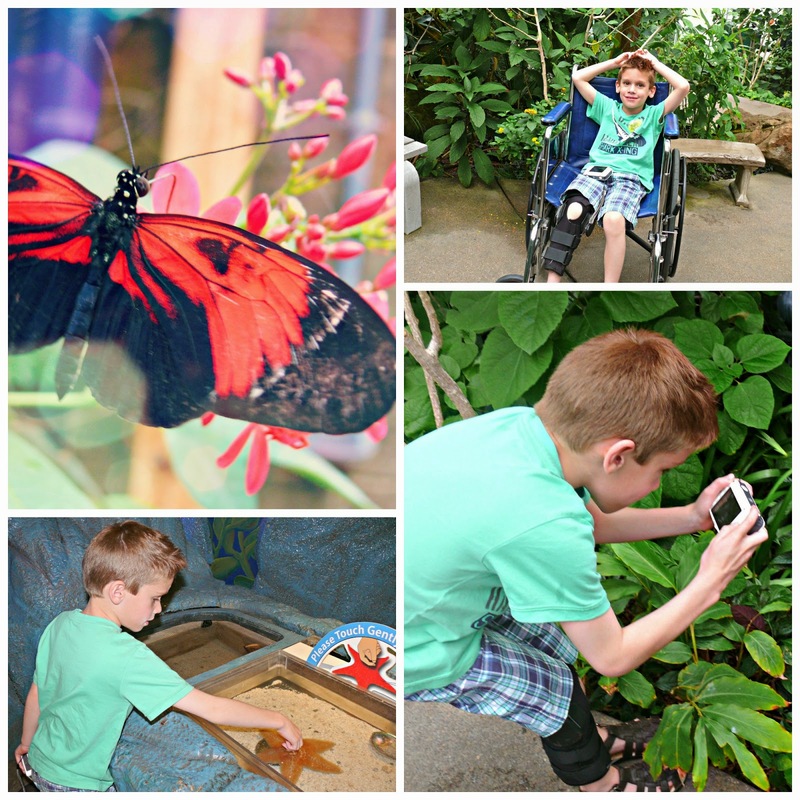 I bet the visit to the butterfly pavilion did a lot to lift his spirits. Glad you son is doing so much better. 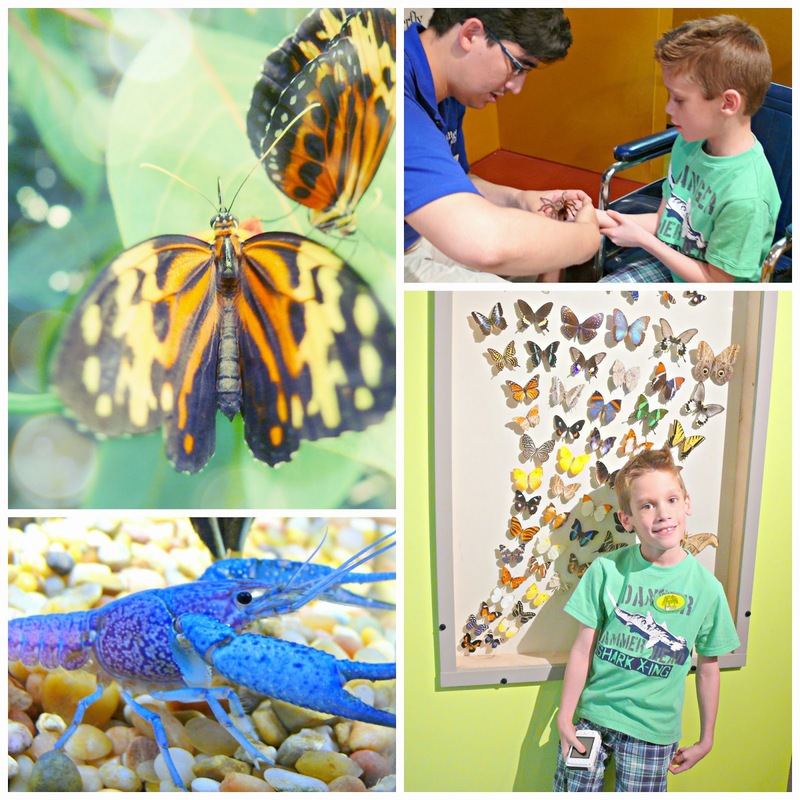 I love to go to butterfly gardens with my children. The bright red and black one you show above is gorgeous!